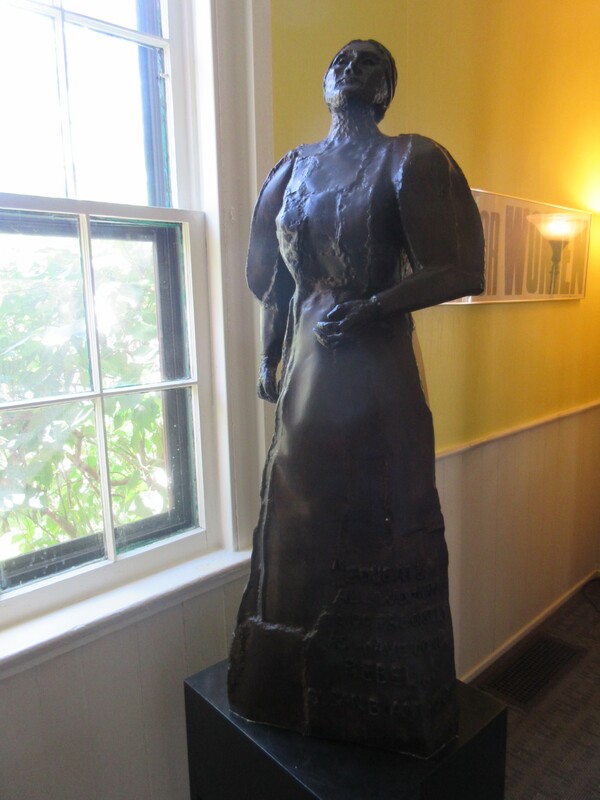 Our 2018 Road Trip, Part 9: Suffrage Central « Midlife Crisis Crossover! It was 2 p.m. by the time we exited Buffalo at long last on Day Two. Despite spending more hours than intended, we still didn’t see all its points of interest. Nevertheless we had a deadline to meet and spare change to part with on the New York State Thruway. Toll roads are an inevitable part of some road trips depending on where you go. State governments in the northeast U.S. in general love toll roads like Cookie Monster loves cookies. The spare change bucket at our house is kept year-round and blown almost entirely on toll roads — if not on our vacations, then on our Chicago convention getaways. Apropos of our last stop, our route took us past still-existing portions of the Erie Canal, according to small signs along the way. Our next attraction was in the city of Rochester, in a mixed-demographic residential neighborhood with narrow streets and a lovely park to one side. I followed the directions as best I could and pulled up in the last open parallel space in front of what I was 90% sure was the right house. After a moment, a gentleman walked out the door and tended to the smoking barbecue grill on his front lawn. 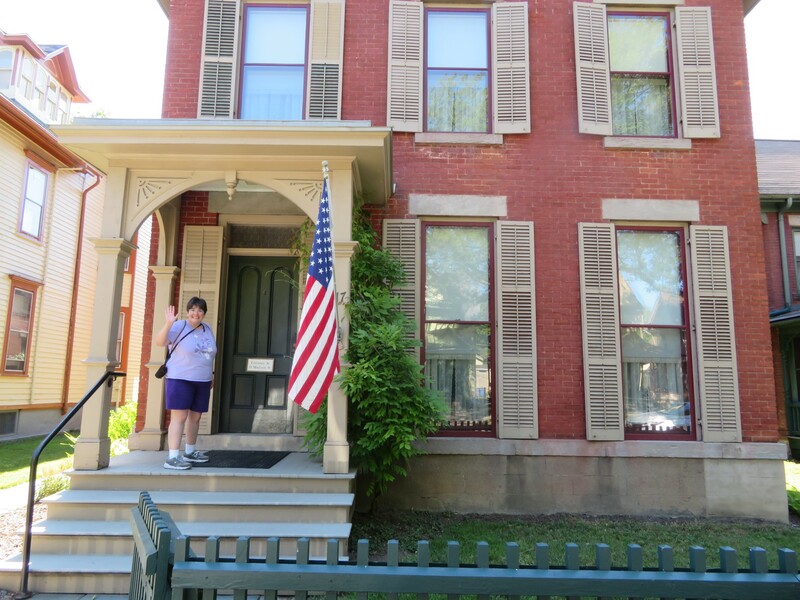 Then Anne pointed out our actual destination on the other side of the street, the National Susan B. Anthony Museum & House. I threw the car into reverse, backed up, lurched forward, and took the last open parallel space in front of their place instead. The Museum and Gift Shop, whose side lot was full. For those just joining us in American History 201: Susan B. Anthony was a key 19th-century activist in the suffrage movement, among the loudest trying to drum up legislation for women’s voting rights nationwide. 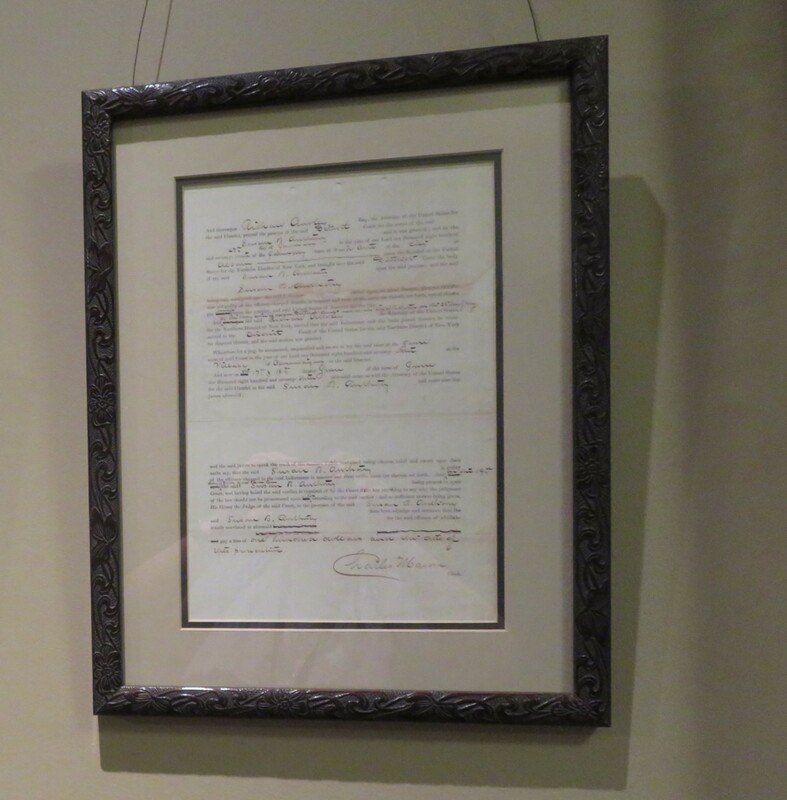 As proclaimed in a handy timeline display at the Hayes Museum, black male slaves were granted voting rights shortly after the Civil War and decades before the same rights would be granted to any women. 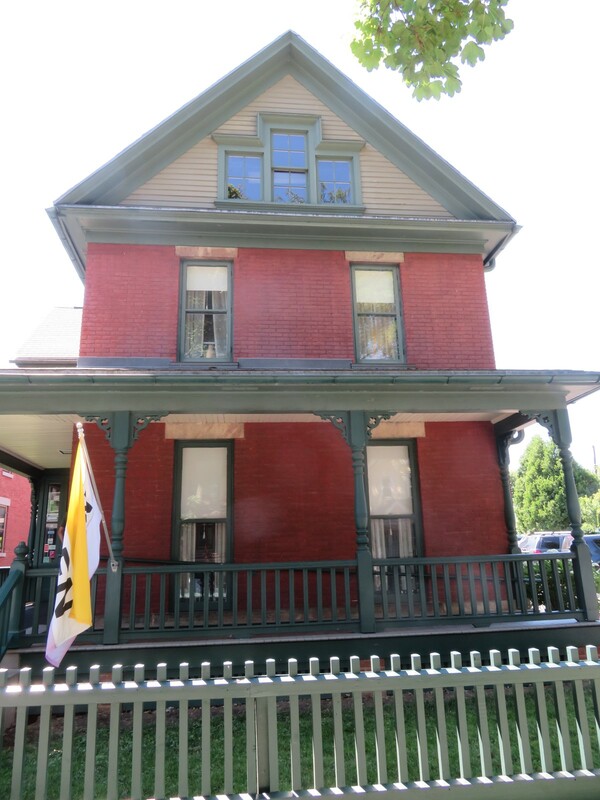 From 1866 until her death in 1906, Anthony and her Mary lived in Rochester and used their home as headquarters in the War on Sexist Voting Laws. Eventually their struggle was recognized and validated, and the 19th Amendment to the U.S. Constitution became the law of the land in 1920…once 36 states agreed to ratify it, a process that took fourteen months of cajoling and foot-dragging. We’d arrived in time to sign up for the 3:30 docent-led tour, and whiled away the extra minutes in their gift shop. For a souvenir I bought a DVD of the 2015 film Suffragette, which I didn’t realize was about British women’s voting rights, but it worked anyway. As Carey Mulligan and her costars tell it, England’s road to suffrage seemed quite the vicious battle, with much more window-smashing, bombing, and inhumane imprisonment for offenders than the American version. Despite a terrible bit of martyrdom at a horse track and one inspirational speech from special guest Meryl Streep, full suffrage wasn’t granted over there till 1928. 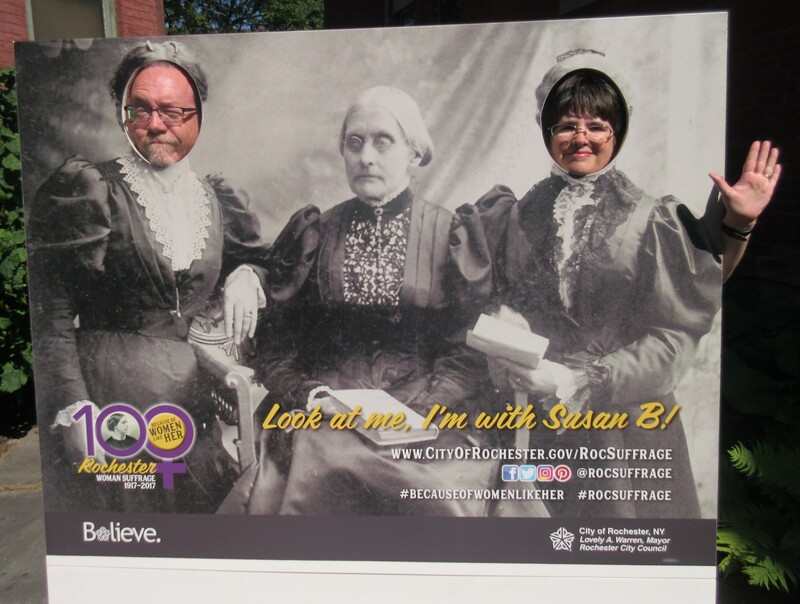 Advantage: Susan B. Anthony. 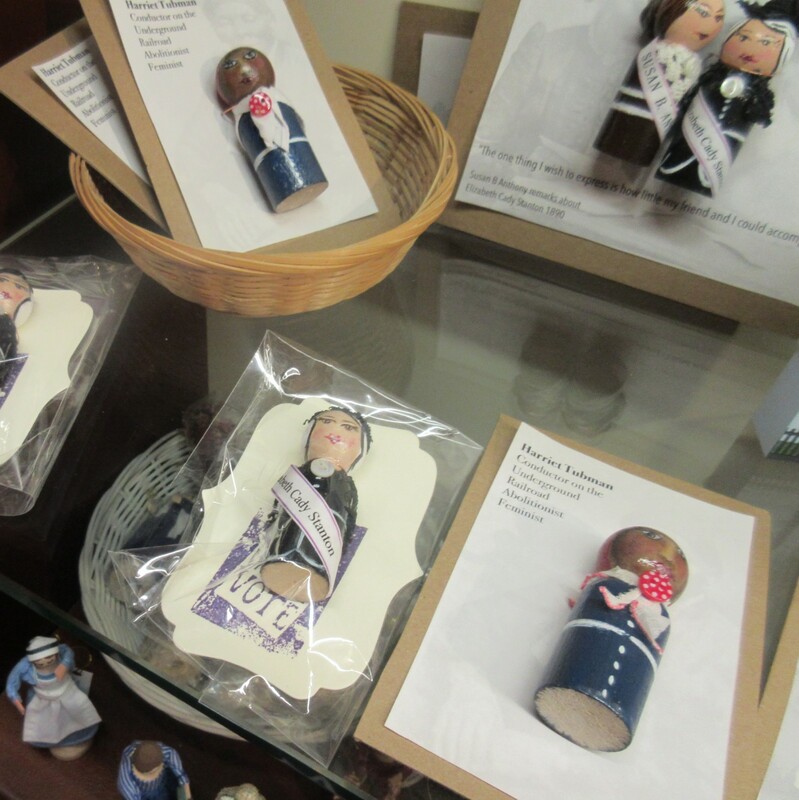 Other gift shop options include imitation Fisher-Price figurines of such legendary women as Harriet Tubman and Elizabeth Cady Stanton. 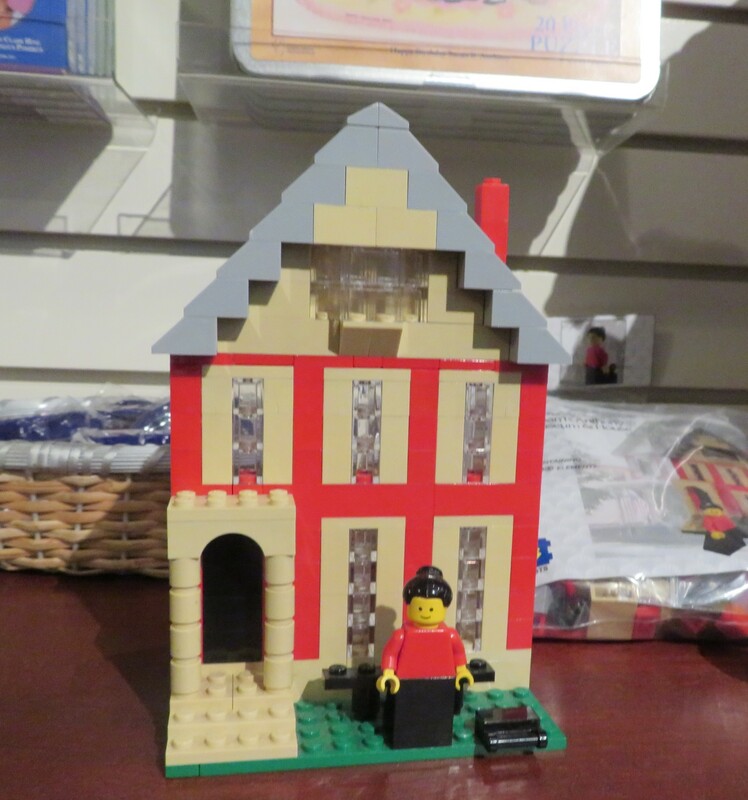 When your toddler gets older, then they’re ready to upgrade to Lego Susan B. Anthony. 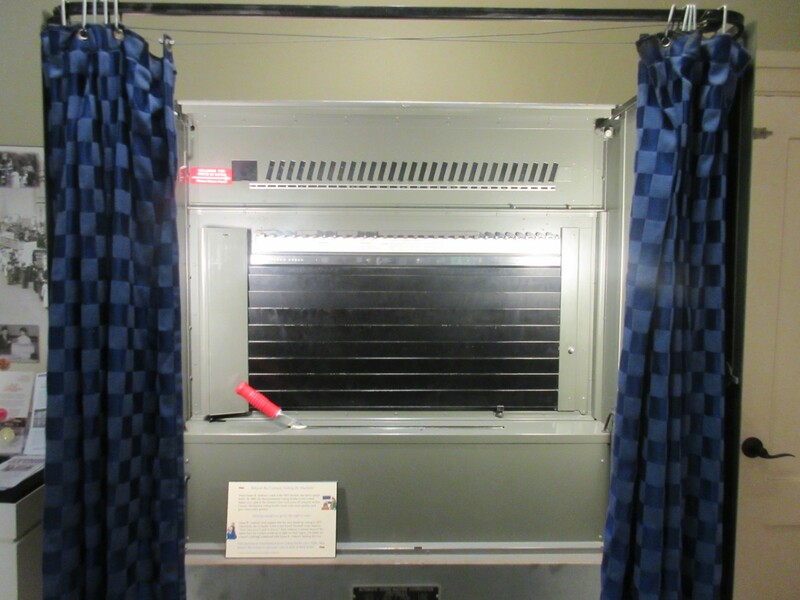 Exhibits in the modest Museum portion naturally included an old voting booth. Sadly this model was unplugged and denied us the power to change American government right then and there. Several of us showed up for the 3:30 tour, for which I served humbly as the token male. I was graciously accepted among their ranks and never once felt oppressed, objectified, or ostracized. Susan B. Anthony, the statue. 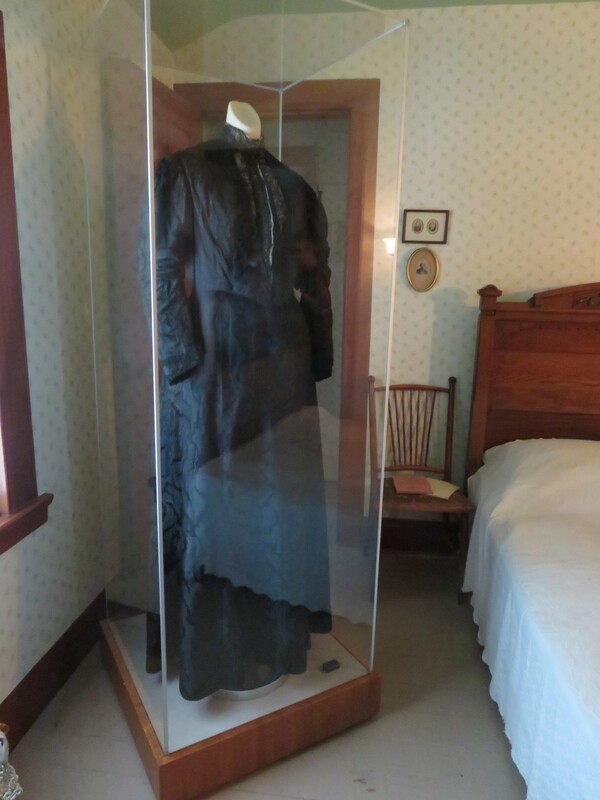 Authentic artifacts on display include one of Anthony’s iconic funereal dresses. 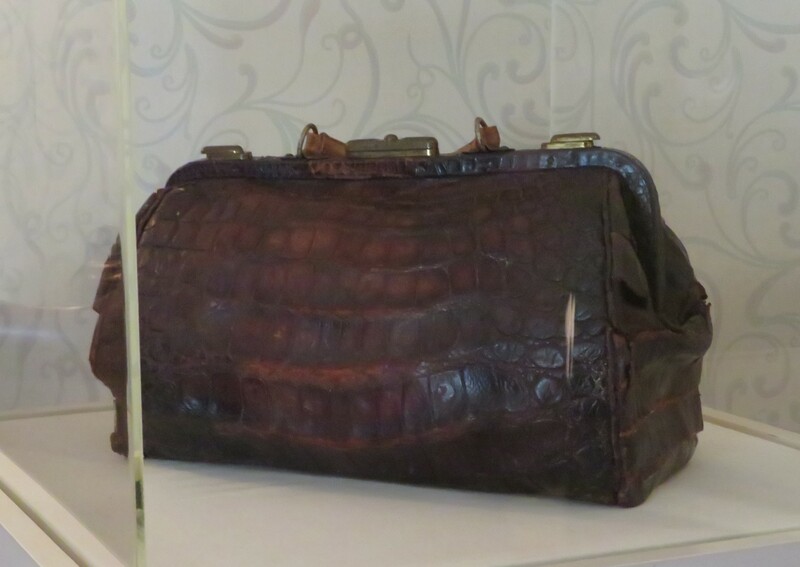 Anthony’s alligator bag was more than a purse. 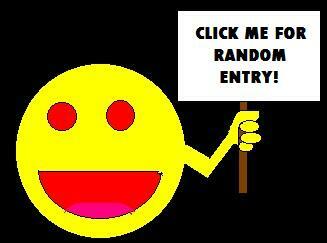 It was her virtual suffrage knapsack, and held deeper layers of meaning in her eyes. Noteworthy documents include the summary judgment from the Election Day 1872 incident in which an unrepentant Anthony led fourteen other women into the totally reprehensible crime of Voting While Female. The original banister remains in place to this day. Such a small thing, perhaps, but imbued with legacy. 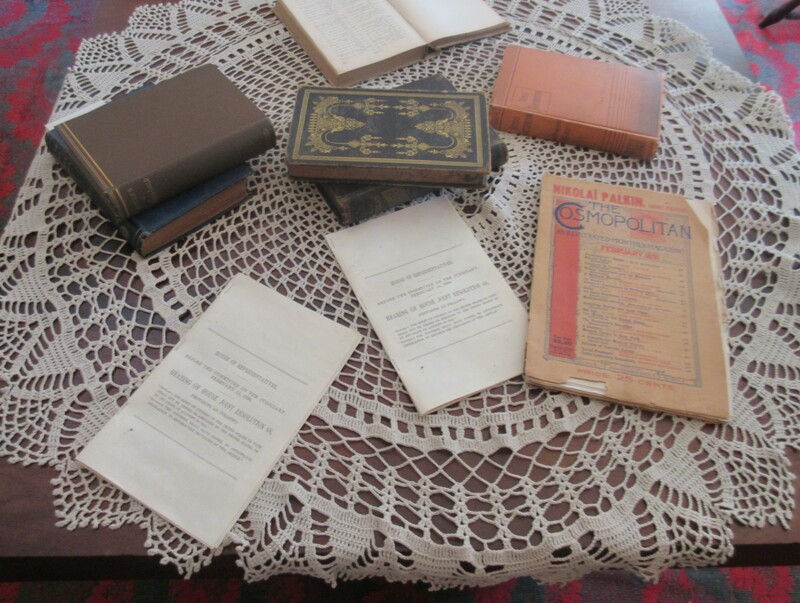 Pamphlets and reading matter from the time, either influencing or written by the collaborators. 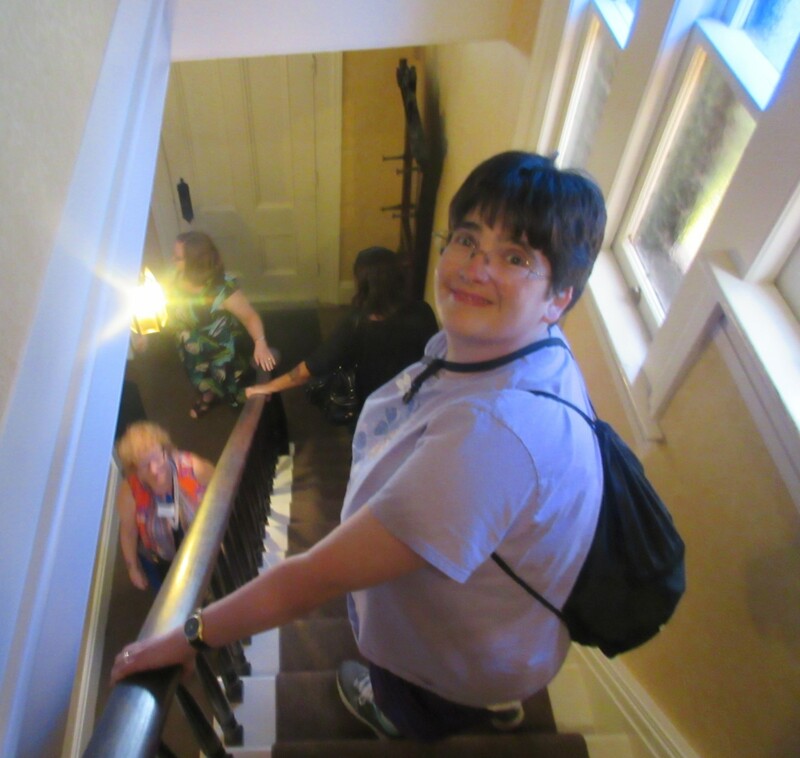 Most of the planning and action took place in the attic, writing newsletters and devising public displays and so forth. 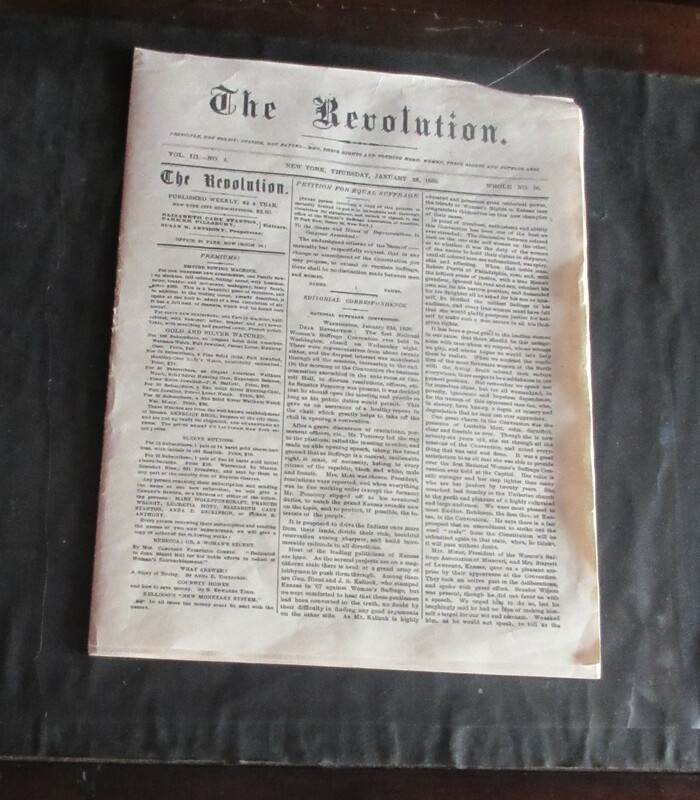 Copy of The Revolution, the weekly suffrage newspaper published from 1868 to 1872. 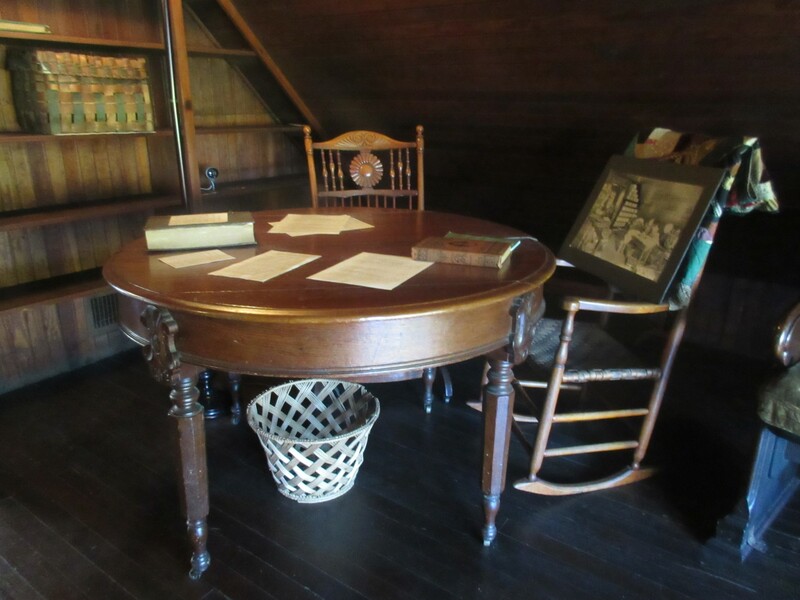 Originally owned by Anthony and edited by Elizabeth Cady Stanton and a progressive minister named Parker Pillsbury, it never turned a profit and was eventually turned over to two males who took all of four months to run it into the ground. 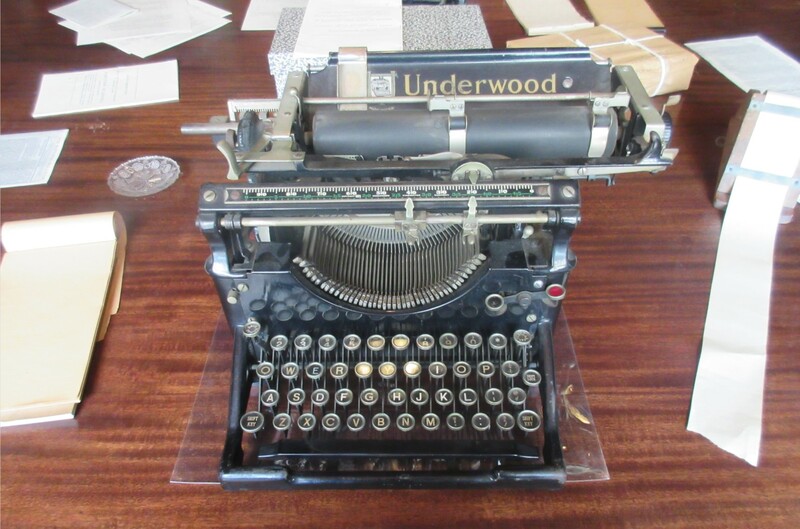 One of two typewriters on which the important statements, proclamations, and protests were given form and life. Not pictured: the bedrooms and other areas of the house containing more mundane objects from way back when. Those are a given when touring any historical house, but not exactly the selling point for us. This wouldn’t be the last historical house we’d tour on this trip, though we agree it was the more engaging of the two. That house once again, now costarring one happy tourist, proud voter, and for years an Election Day volunteer, which I’m sure in the 1800s would’ve been blasphemy. 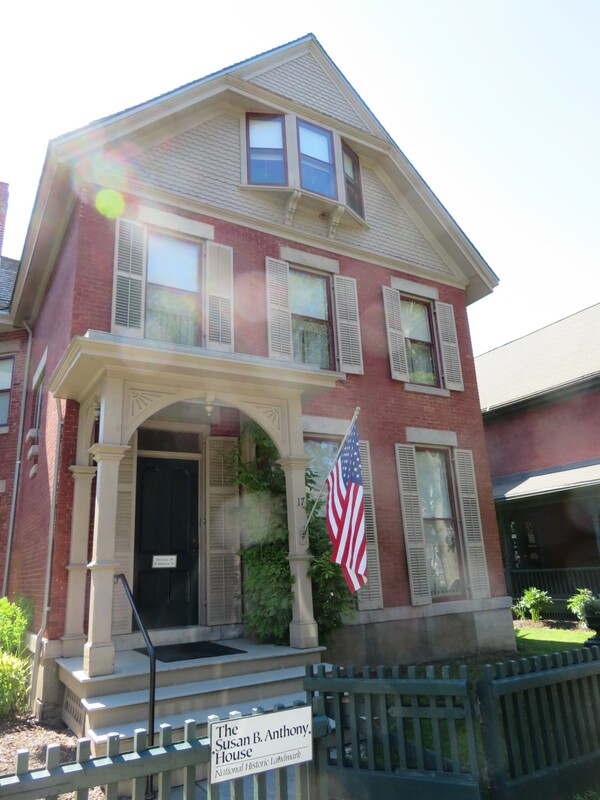 Also, the Anthony House and Museum were only part of our Sunday travel tribute to Susan B. Anthony. To be continued!